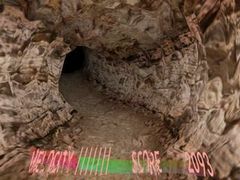 Cave9 is a 3D gravity cave-exploration game. Gameplay is experienced as passage through a tunnel, where the tunnels are procedurally generated. The tunnels are generated in a way that is supposed to guarantee the ability for players to actually pass through them.